Dear users and customers, we are glad to announce a first release for a major update of Rohos Logon Key for Windows. Now Rohos Logon Key automatically detects Active Directory environment and uses Active Directory storage to keep domain-wide settings and list of authentication keys and devices. 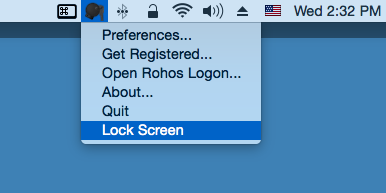 We have completely refactored Rohos Remote Config utility and USB Key manager. Added Active Directory Application Partition support. This brings centralized domain-wide settings management and authentication media access list. the price was significally reduced (only 9Euro). In future we plan to add a remote storing of users’ photos to provide the network access to homegroup and domain computers. We are happy to announce Rohos Logon Key v.3.3 with many improvements and one nice feature. Rohos Logon Key lässt Sie jetzt Ihren Computer entsperren, ohne ein Passwort zu verwenden – mit Ihrem Smartphone. Rohos Logon Key v 3.2 für Mac OS X 10.10 bietet eine neue Möglichkeit, schnell den Mac zu sperren, bevor sie sich von ihm wegbewegen. Liebe Nutzer, heute haben wir das Rohos Logon Key für Mac Installationspaket aktualisiert, um Mac OS X 10.11 El Capitan zu unterstützen. Voreingestellt wird Rohos Logon Key nach dem Update von Mac OS X auf El Captain deinstalliert, und Sie müssen es neu installieren.